Injured? Are You Doing Enough To Get Healthy? 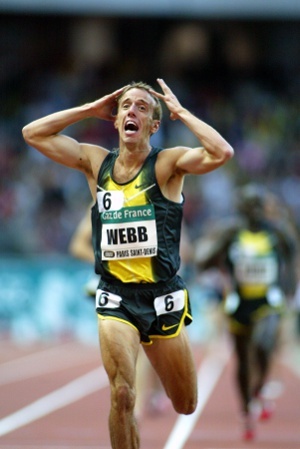 "I first took a good four-week break and no running. I then gradually began to run and do some strengthening exercises. Its important to not just rest until an injury gets better because exercise promotes blood flow and strengthening the muscle allows it to come back stronger. About 2 weeks into my break I began getting message, acupuncture and used other modalities to promote healing. I also developed a yoga routine that takes about 20 minutes that I do every morning and evening. I continue to get a good massage once a week; ART once or twice a week, ultra sound twice and week and then I do my only self-massage on a roller and using a scrapper (FAT tool) daily. I think I work harder when I am injured then when I am totally healthy." - Ryan Hall when asked what he's doing to get healthy. Good advice for all those out there with chronic injury issues. We can't all afford to get massage/therapy every week, but there's still a lot more to be done than just sitting around waiting for things to heal. 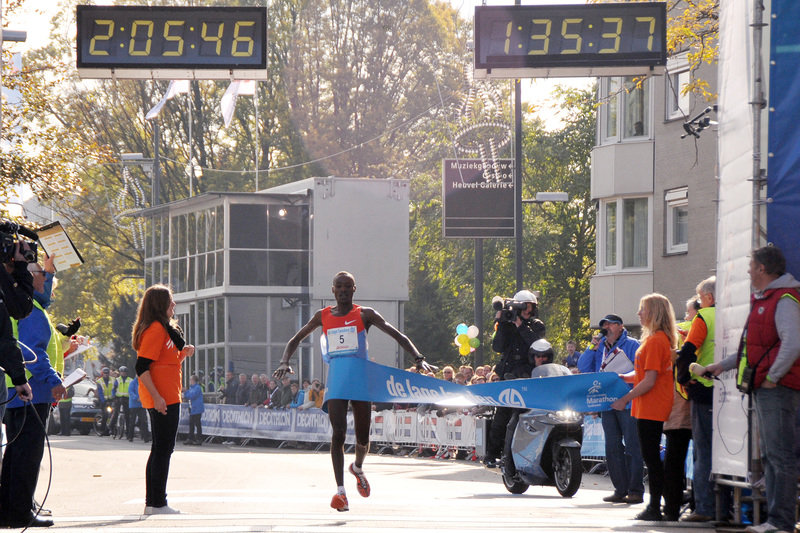 Frankfurt Marathon 2012 - Will Makau breaks his WR? 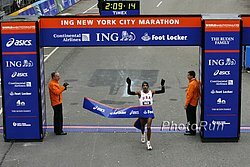 Full Professional Fields for 2012 ING New York City Marathon Released In the women’s field Olympic champion Tiki Gelana will be the heavy favorite. On the men’s side, London Champion, Olympic bronze medallist, and world’s #2 on a certified course Wilson Kipsang, should be a slight favorite over 2:03:06 man Moses Mosop. 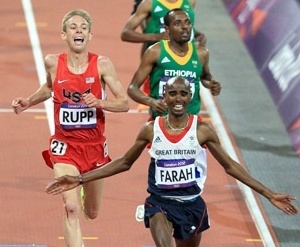 Meb Keflezighi, fourth at the Olympics, leads the American charge. 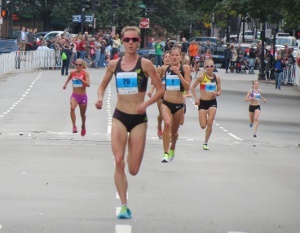 In Depth Interview With Molly Pritz Who Was First American Woman At NYC Last Year She wants to run 2:26-2:28 in NYC. 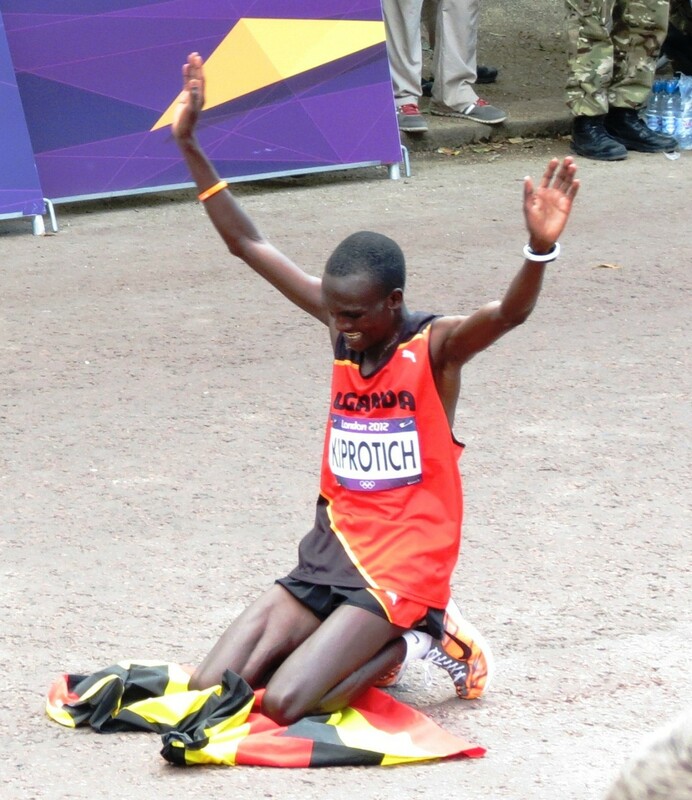 Frankfurt Preview: Patrick Makau's World Record Recipe Makau's contenders include Yemane Tsegay (Rotterdam winner in 2:04:48), Albert Matebor (2:05:25), Bazu Worku (2:05:25) and Deressa Chimsa (2.05.42). The pacemakers have been told to go through the half in 61.40. Bupa Great South 10-Miler Preview: 10,000 Bronze Medalist Tariku Bekele Will Duke It Out With Marathon Silver Medalist Abel Kirui Alistair Cragg leads the European charge. *"Veteran" Jo Pavey Faces A Slew Of Younger Brits In Gemma Steel, Julia Bleasdale & Claire Hallissey They'll all be up against Ethiopia's former World Half Marathon champ Berhane Adere. Venice Marathon Preview: Defending Champ Aredo Tolesa Tadesse (2:09:02) Up Against Kenyan Stephen Kipkoech Kibiwott (2:07:54) Also Patrick Ivuti who ran 2:07:46 back in 2005. IAAF Preview France's Marseille-Cassis 20k: Ezekiel Chebii (59:05 half to win Lille Half) Vs Pius Kirop (2nd In Lille) Vs Gilbert Masai (59:57 half) Cynthia Jerotich leads the women's race. 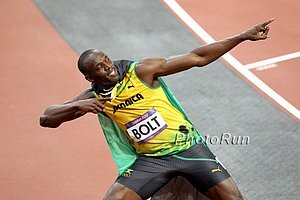 Wow: Seb Coe's Image Rights Are Worth Up To $19 Million And Usain Bolt only gets $300,000 for an appearance fee ... and he still has to run a race. Good Read: Ethiopia's Buzunesh Deba Is Looking To Become The First NYC Resident To Win The Marathon She'll be the underdog though as she's coming off an injury and is up against Olympic Champ Tiki Galena and World Champ Edna Kiplagat. 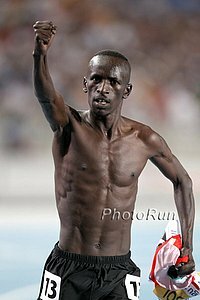 Sunday: IAAF Preview: David Kemboi Kiyeng (2:06:26 PR), Nickson Kurgat (2:08:43) & Others Will Compete At The Chosunilbo Chuncheon International Marathon Sun. 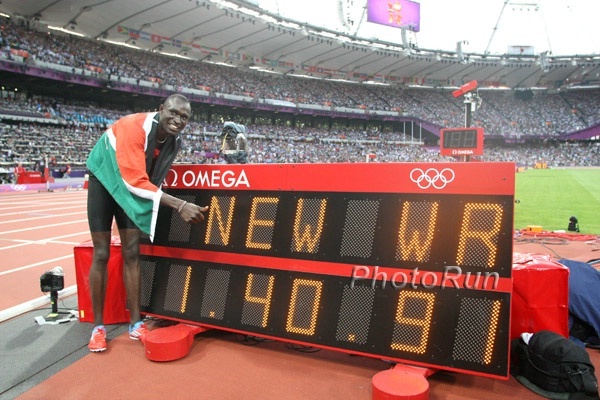 The target is Stanley Biwott’s 2:07:03 CR. Mahieddine Mekhissi Benabadd Is In Trouble Again: He Assaulted A High School Director Because He Didn't Want To Hire His Brother (translated from french) This is the guy who got in a fight with Mehdi Baala after a DL meet. He now faces a possible suspension. UK Bookies Lost A Lot Of Money On Mo Farah's Double Gold In London, But They "Still Cheered"
Former Boston Champ Elijah Lagat Will Lead A Group Of Kenya's Parliament Members At Sunday's Standard Chartered Nairobi International Marathon Some of the legislators were on the Kenya that got 3rd at the World Championships for Members of Parliaments in 2008 (bet you didn't know that existed). Langat led the team with a 2:18.08 ... for a half-marathon. South African Distance Legend Jan Barnard Passes Away At 83 He set records and won championships for SA on the road, track, and cross country. After his retirement he also went on to coach many other SA greats. Update On Debate Over Jamaican Discus Thrower's National Record The mark was legal, but the IAAF wouldn't count it because the discus was added to the meet schedule only a few days in advance. 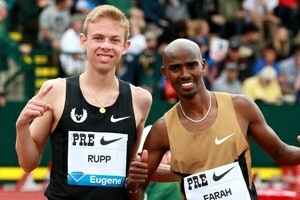 Big Races This Sunday: Will We See A New Marathon WR? Want To Run The 2013 BMW Berlin Marathon? Sorry - It Sold Out In A Record 3.5 Hours Earlier Today (Thursday) Last year it took almost six weeks. Armstrong Not Alone: With Armstrong Gone, Philip Hersh Calls For The Removal Of Pat McQuaid, Hein Verbruggen And Other UCI Officials "It is one thing for cyclists banned for doping to return to competition after their suspensions end, as rules allow. It is another for ex-dopers to run teams or be on UCI councils. Any argument that it is good to have former dopers help in the fight against doping is specious." WADA President: The UCI Need To Take Responsiblity For Allowing Doping To Take Place Tyler Hamilton: "Pat McQuaid's comments [on banning Armstrong] expose the hypocrisy of his leadership. Instead of seizing an opportunity to instill hope for the next generation of cyclists, he continues to point fingers, shift blame and attack those who speak out, tactics that are no longer effective. Pat McQuaid has no place in cycling." Pat McQuaid Calls Floyd Landis And Tyler Hamilton "Scumbags" "Another thing that annoys me is that Landis and Hamilton are being made out to be heroes. They are as far from heroes as night and day. They are not heroes, they are scumbags. 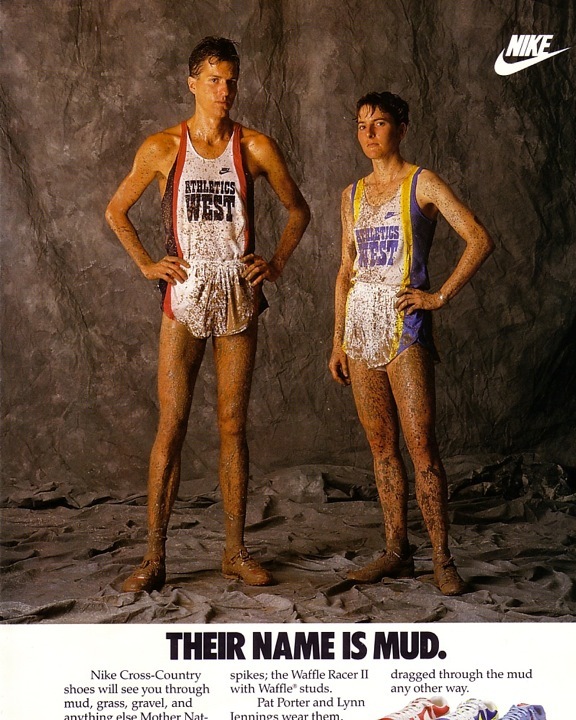 All they have done is damage the sport." Race Director Wants Lance Armstrong To Return His Tour de France Prize Money Estimated he won around £2.4m.;2.4m. Tour de France Champ Bradley Wiggins: "It is a shame that us riders here now, we are the one picking the pieces up and having to convince people." Alberto Contador, on the other hand, expressed his sympathy for Armstrong. UK Athletics New Sports Psychologist Dr. Steve Peters To Help The 4 X 1 Get The Baton Around He'll be able to use his own experiences as the anchor for the UK's World Masters Championship 4 x 1, which won gold in 1999. Women's Sport And Fitness Foundation: London's Olympic Legacy Is Not Doing Enough To Promote Women In Sport This isn't really a surprise since there have been reports that the Olympic legacy to get more involved in sports is failing in general, not just women. Rio Unveils Official Font For The 2016 Olympics It has been described as "uniquely informal." 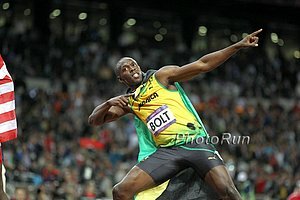 Usain Bolt: "I want to play pro soccer after 2016." *Part 4 Blair III: "It was funny. I didn't feel like I ran that great of a race. It's such a weird concept. I only had to come down 2 tenths of a second. If I would have done that in any other event, even the 800 where it would be more impressive to drop time, it wouldn't have even mattered. It's a barrier, and you need to run under, so you've got to do it." Pac-12 Saturday: #3 Ranked Oregon Women Are The Favorites Over #4 Stanford, #5 Arizona, #6 Washington And Colorado On the men's side Colorado is the favorite over Oregon. BYU and the University of Portland will duke it out in the West Coast Conference. 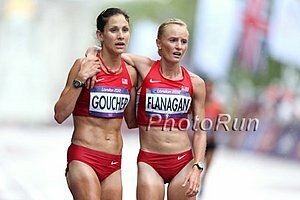 *RT On Pac-12: "The Conference is Young, but the Rivalries Go Deep" Adam Goucher when asked who he'll be routing for since he lives in Oregon: “Of course I will be rooting for Colorado. I am not a Duck. I am not a Duck at all. That is not going to happen." 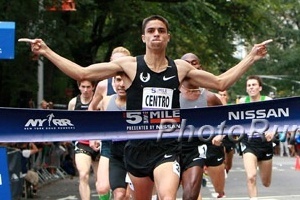 LRC Mark Wetmore's Colorado Buffaloes, Florida State Women the New #1 in the LetsRun.com NCAA Cross Country Polls Florida State is shooting for its first national title and Colorado Buffaloes hope to get back on top for the first time since 2006. Plus we have conference predictions for the major conferences. *SEC Report: Arkansas Men And Florida Women Win SEC Cross Country Titles Texas A&M’s Henry Lelei won the individual race in 23:29.95 as Kentucky’s Cally Macumber won for the women in 20:23.29. *Quick Q&A With Henry Lelei Asked what sport he'd play if he wasn't a runner: "I would like to play golf; you don’t use a lot of energy. You just walk around and hit [the ball]." 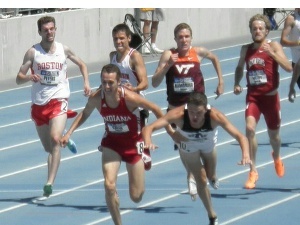 IU's NCAA 1500m Champion Andy Bayer Raced An Impressive Eleven 1500's From Mid-May Through July 1st Getting Faster As He Went Ending With A PR "The [Olympic Trials] finals were the least stress I've had in months. Leading up to that I was trying to qualify or win every race. 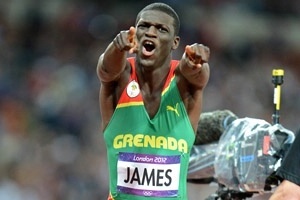 [In the finals] I was going to try to race and not worry about time, just beat as many people as possible." Good Read: University of Richmond Alum Writes How Disappointed He Is With The School For Cutting The Track Program After All He And His Teammates Did To Build It Up "Someone later pointed out to me, 'You know, you guys who redshirted could have gone to any school you wanted for that fifth year and run at nationals.' Really? That idea never even occurred to me. ... Why would I turn my back on my team, coach and university?" London Games Helps Lift Britain Out Of It's "Longest Double-Dip Recession Since The Second World War"
AK Cracking Down On Which Foreigners Are Allowed To Work With Kenyan Athletes And Requiring "Work Permits"
Kenyan Athletes Told To Consult AK On Medical Matters In order for them "to ensure their blood samples are not tampered with." No Way: British Professor Says Doping Should Be Allowed In Sport "Were we to treat athletes as mature adults capable of making informed decisions based on scientific information, we could permit the use of performance-enhancing substance." Description Of Exchange B/W Race Director & Hesch Where He Wanted An Appearance Fee For Their Elite Race Saying He Would Drop His 1,500 SB 10 Seconds The article title calls it a "lofty goal" but really running under 3:38 when he had a 3:40 PR and had broken 4 in the mile isn't crazy. *USADA Head Fires Back: "The truth is Lance Armstrong, on their watch, pulled off the greatest heist sport has ever seen." *Lance Armstrong's competition results from every event sanctioned by the World Anti-Doping Agency (Meaning Boston and New York) will be erased from the record books. Another Ex-Lance Teammate, Steffen Kjaergaard Of Norway, Admits To Doping ''I have long thought that it was best for cycling as a sport that I took this (secret) to the grave. But the last weeks have made me change course for my own sake and tell the truth.'" Nobody Wins: Lance Armstrong’s Seven Tour de France Victories Will Be Left Blank In The History Books & The UCI Has Demanded That Armstrong Return His Prize Money And trying to save face, the UCI said it will "establish a fully independent external Commission to look into the various allegations made about UCI relating to the Armstrong affair" and has suspended their legal action against Irish journalist Paul Kimmage. 100% Appropriate: UCI Chooses Pinocchio As Logo For 2013 World Road Racing Championships For those who grew up without watching Disney movies, Pinocchio is a puppet who's nose grew every time he lied ... which was often. Triple Tour de France Winner Greg LeMond Urges Pat McQuaid To Resign "I have never seen such an abuse of power in cycling's history – resign, Pat, if you love cycling. Resign even if you hate the sport." 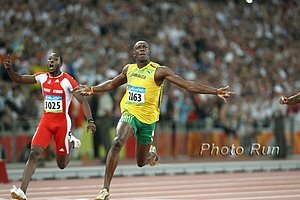 Puma Sales Drop Despite Usain Bolt Sponsorship And pro distance runners wonder why it's hard to get sponsorship; apparently isn't worth a that much if you lose sales even when you sponsor the most famous track athlete in the World and he wins 3 gold medals. Belgium's Hans van Alphen And Russia's Tatyana Chernova Are The Overall Winners Of The 2012 IAAF Combined Events Challenge They get $30,000 each from the IAAF.